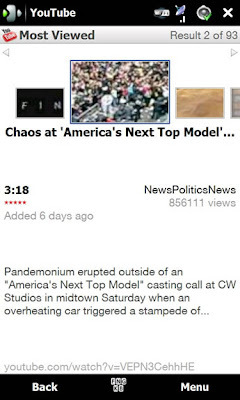 YouTube Releases Native Software For Watching Videos In Mobile ! It is good news for Windows Mobile and S60 Phone users. youtube-playlist-is-back/">YouTube team has designed native software for Windows mobile and S60 phones. Both versions of this software have been optimized for mobile devices. In addition, this software lets you browse and how-to-join-multiple-downloaded-videos-in-a-single-file/">watch YouTube videos easily anywhere, anytime. The searching-from-youtube-player-is-easy-now/">developer team says that this software is faster for searching and starting. The video quality of this mobile will be automatically tasks-tweaks-split-merge-and-move-to-list/">tweaked according to your WiFi or 3G connection status.